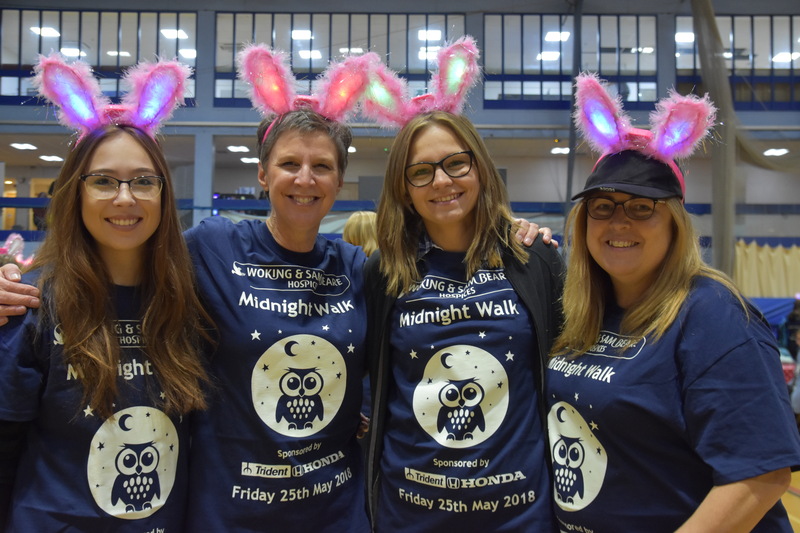 Come and join us on Friday 21 June as we walk together through the night to raise the vital funds we need to continue providing free of charge care in 2019 and beyond. 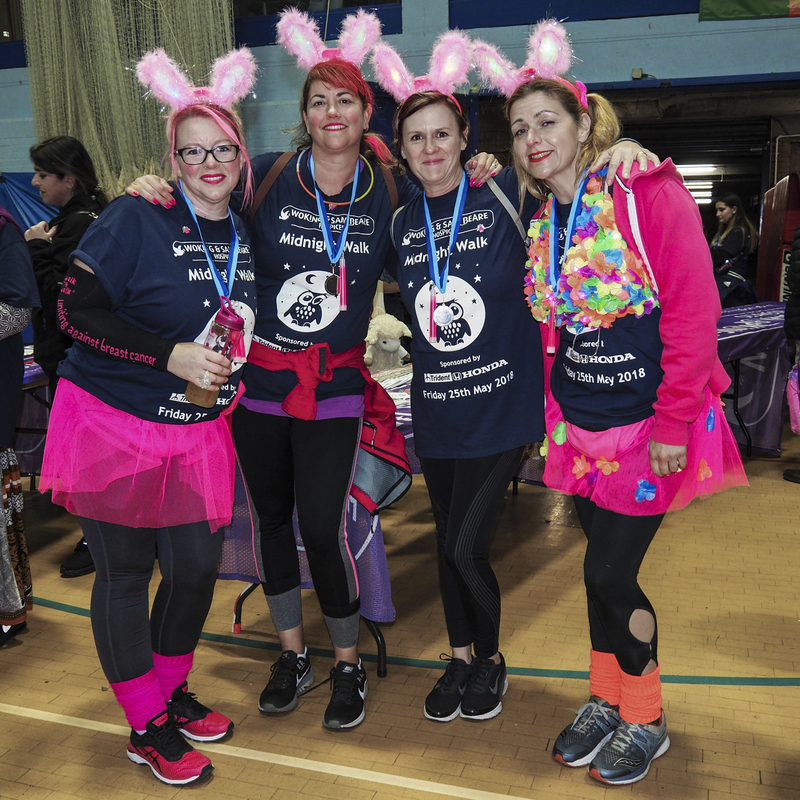 This year it is an 80’s theme so pull on your leg warmers and enjoy some disco fever along the eight mile route. 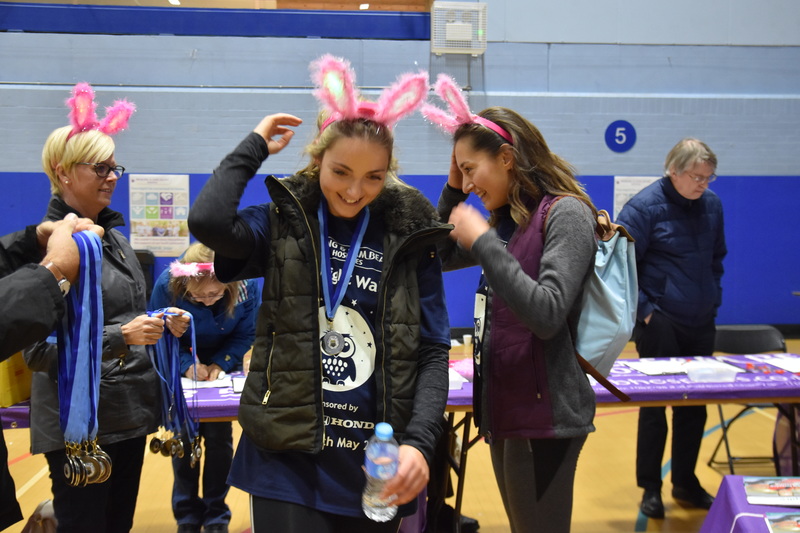 We are also encouraging all our participants to wear the pictures of those they are taking part in memory of, even if they weren’t for cared by the hospice. 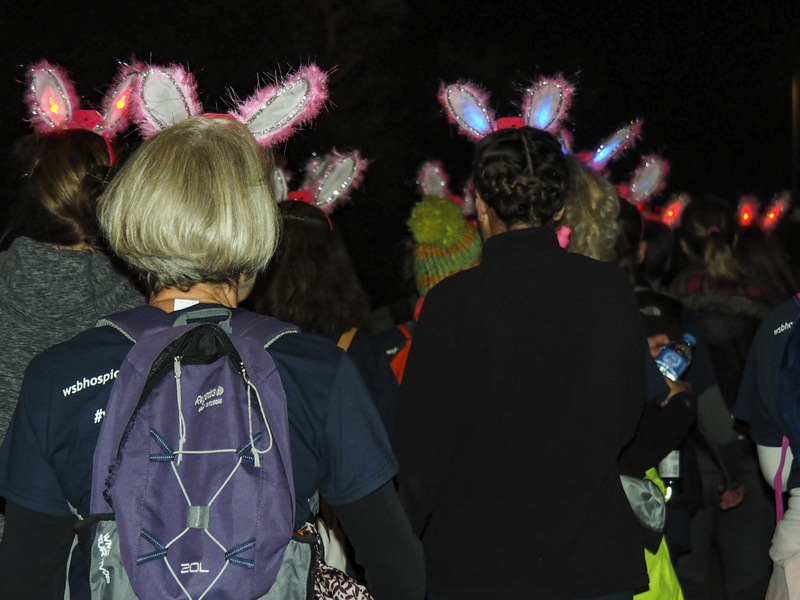 It is a time to come together as a community and walk together. 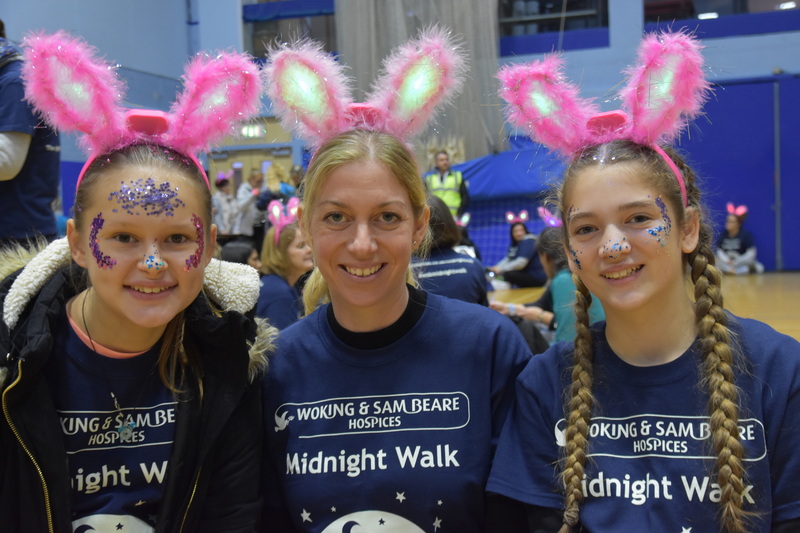 Susie Roberts and her “Deans K-A’s Team” will be walking in memory of her husband Dean Roberts who was cared for by the hospice in 2016 before he died aged 54. 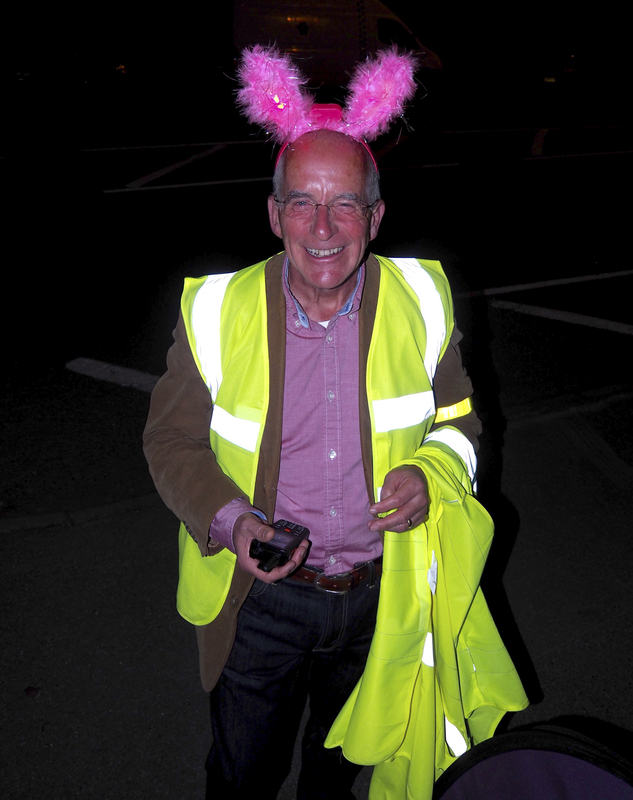 Dean, the former Chairman of Knaphill Athletic Football Club, was an inspirational figure to the players and coaches and he firmly believed in the value of grass roots football. 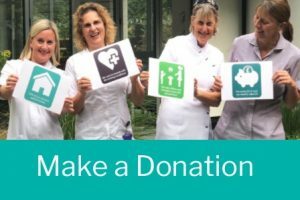 Susie was so inspired by the hospice and the care they provide that she joined the hospice working as part of the House Keeping team in April 2017. 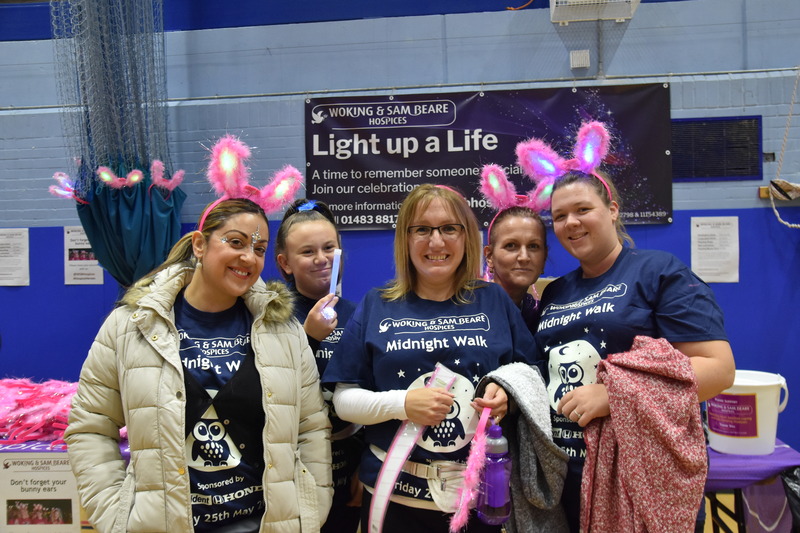 “When I saw the advert for the positon I thought to myself ‘I could do that’ and I could help others as I know exactly what they are going through”. 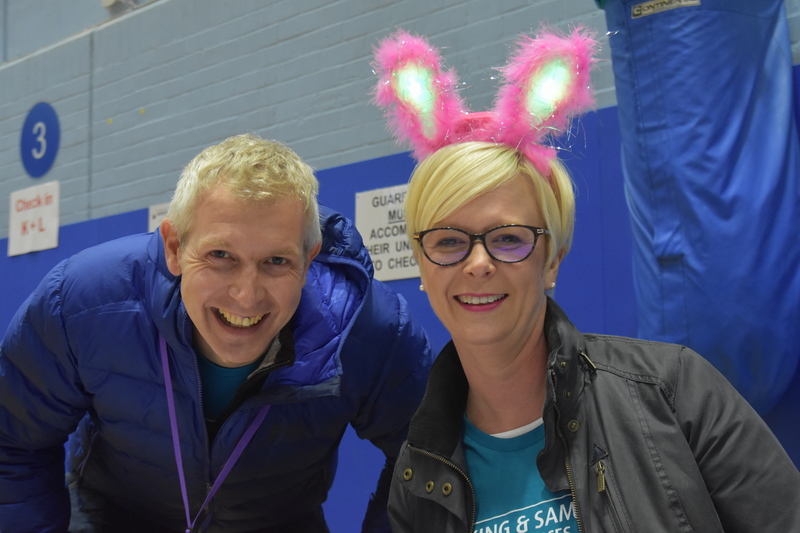 added Susie “It is a privilege to do what I do and if I help put a smile on one person’s face I know I have done a good job”. 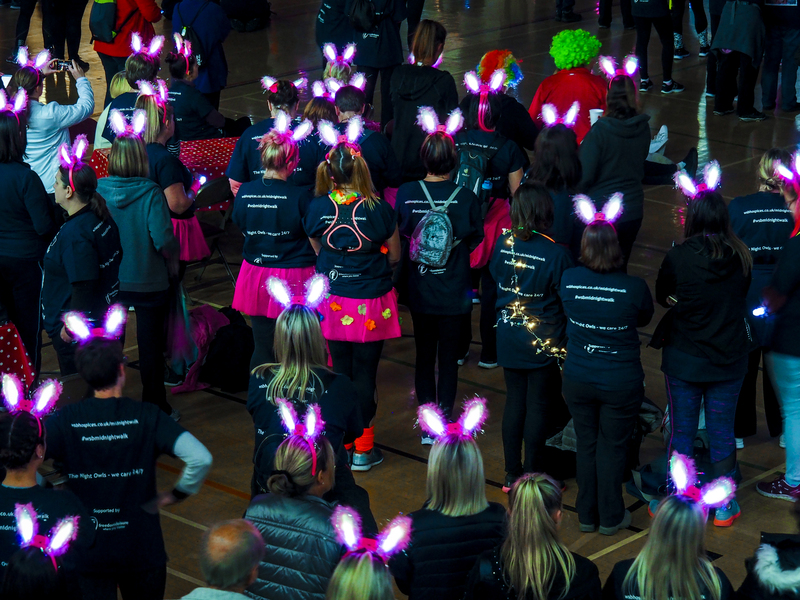 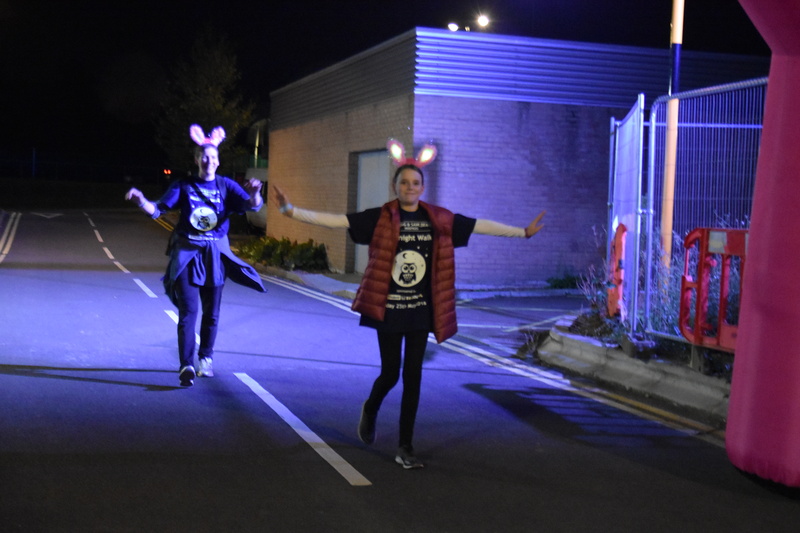 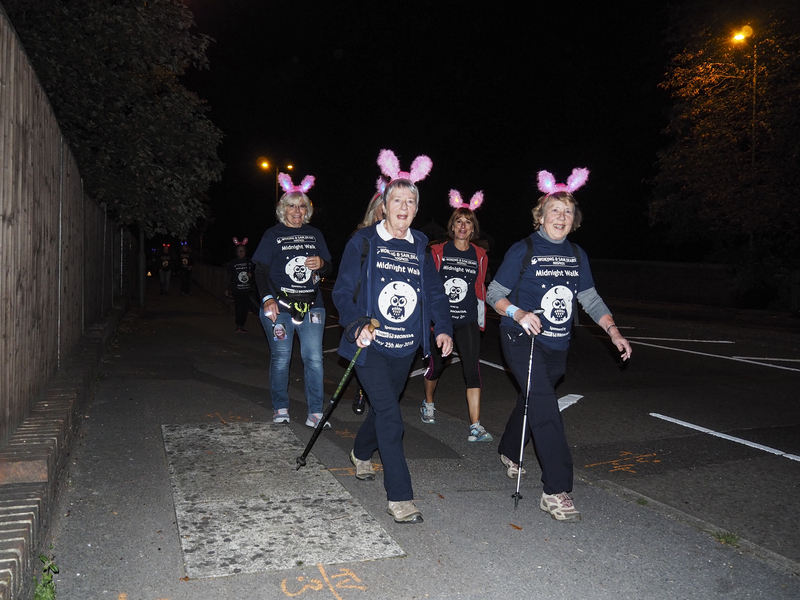 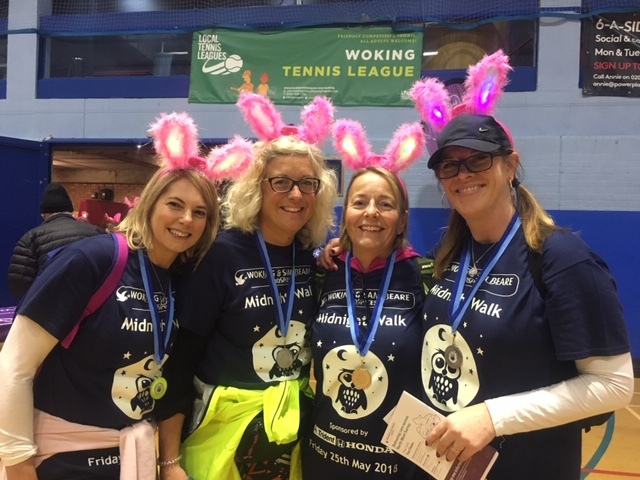 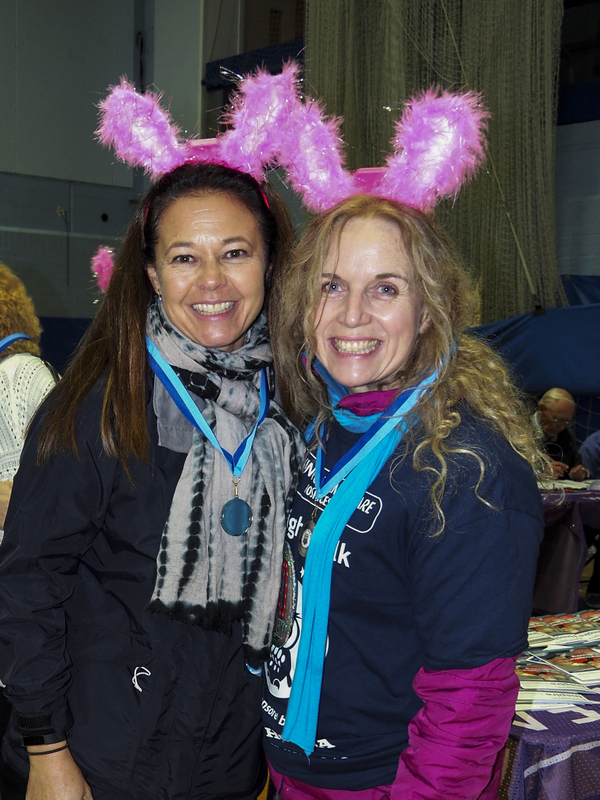 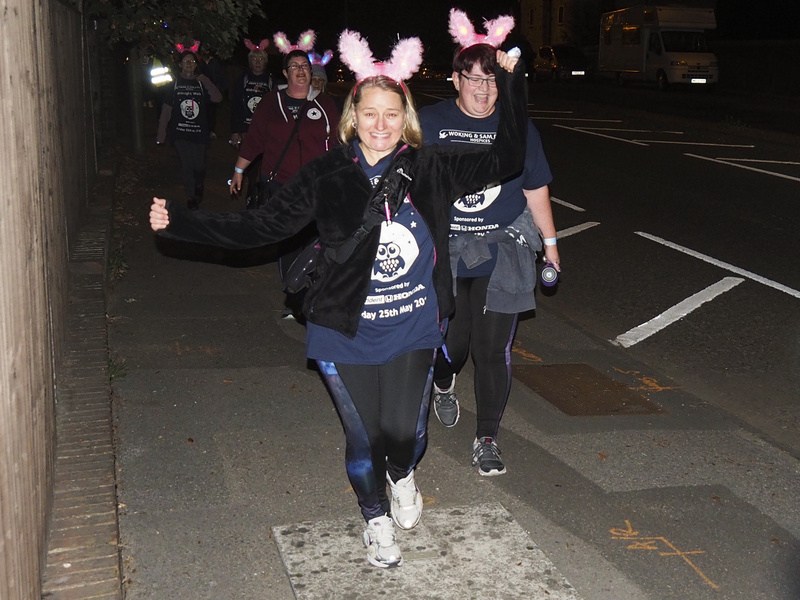 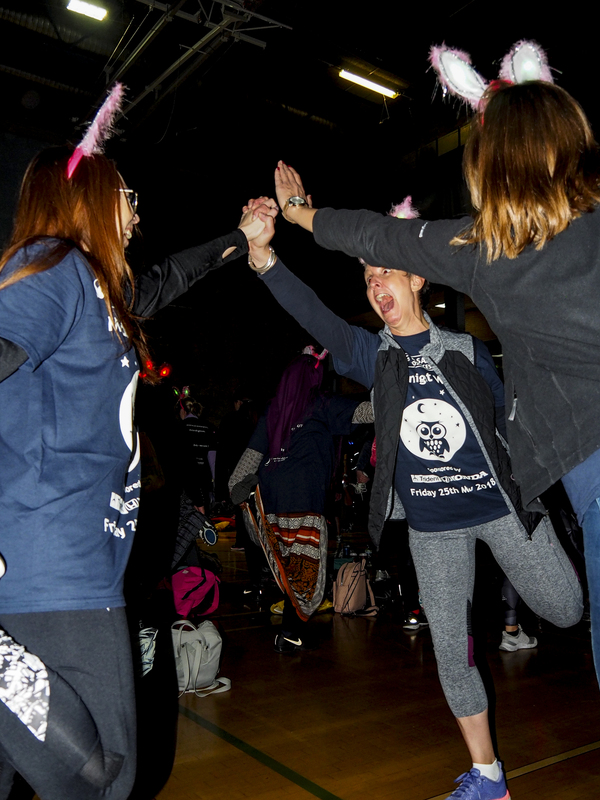 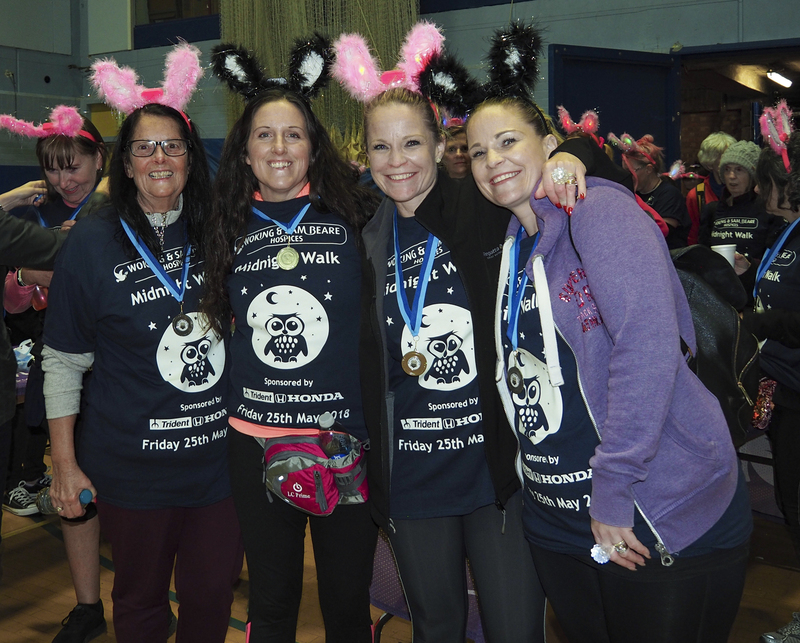 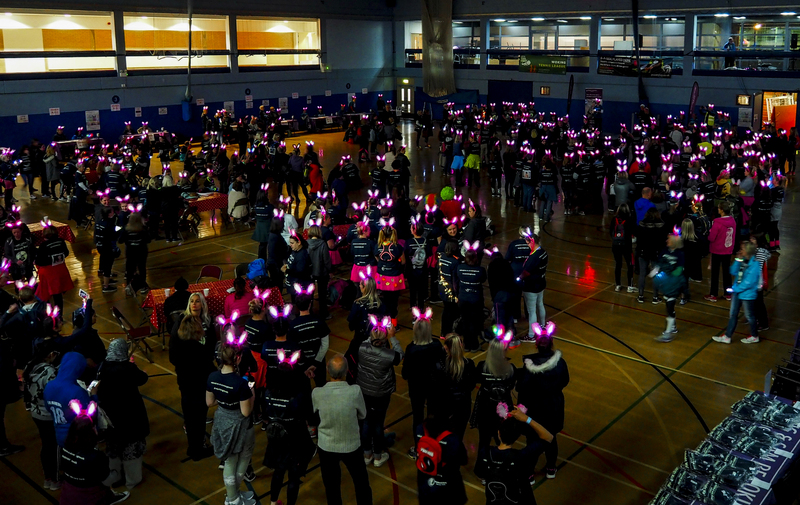 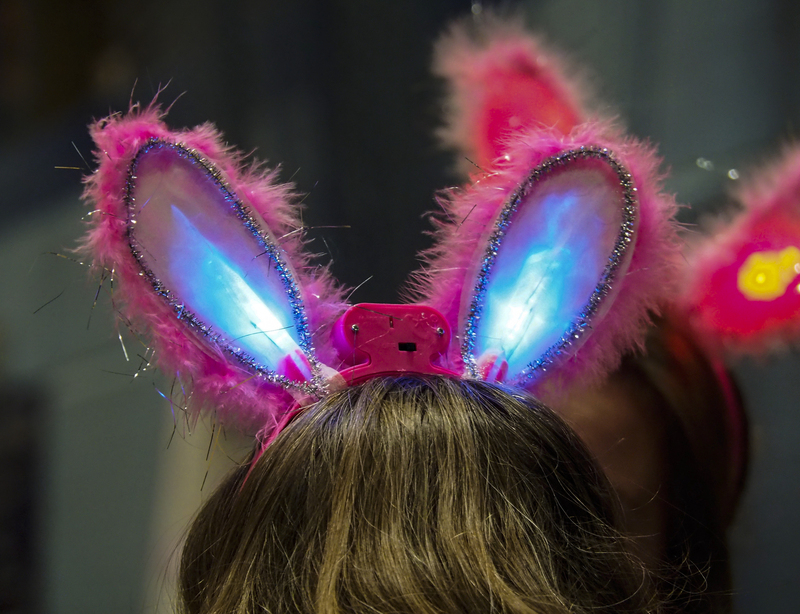 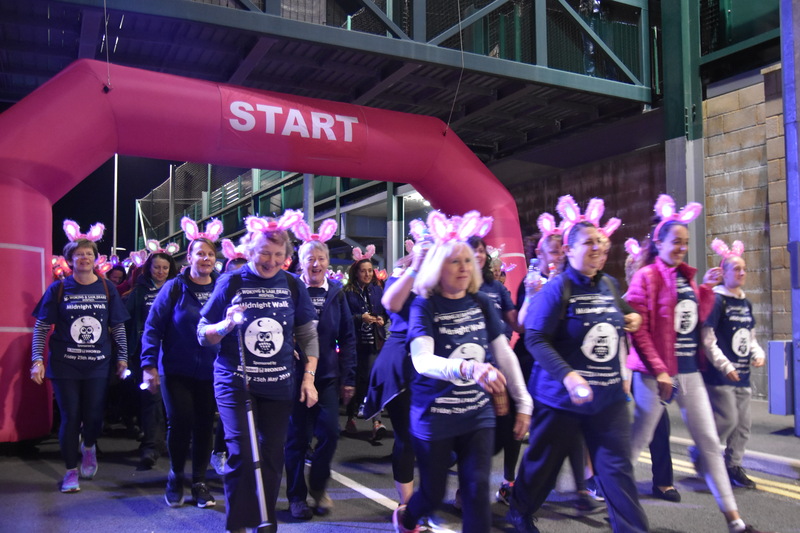 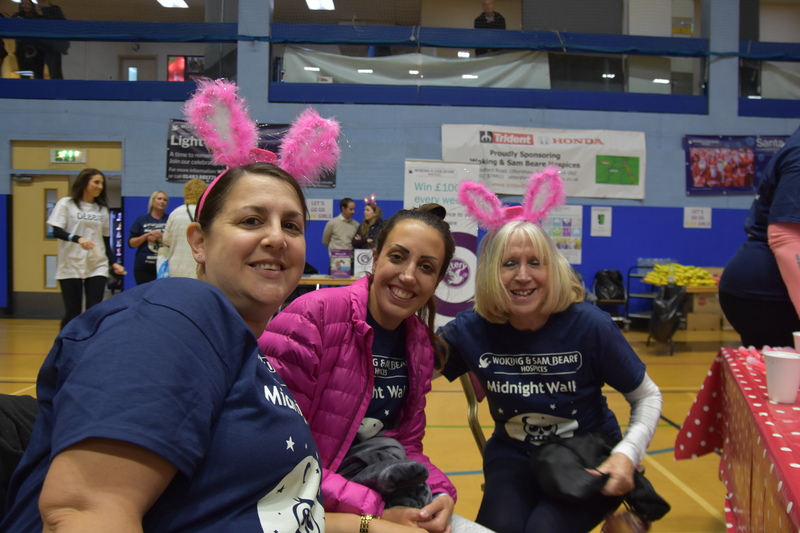 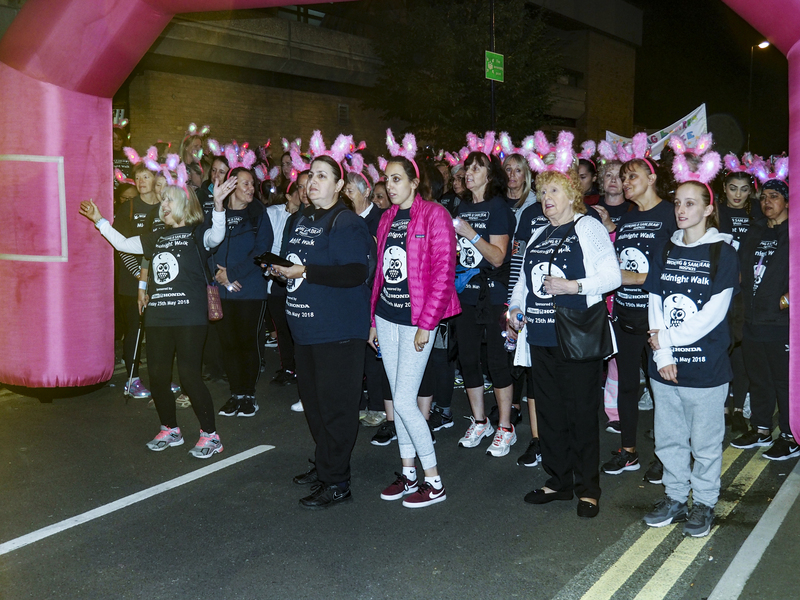 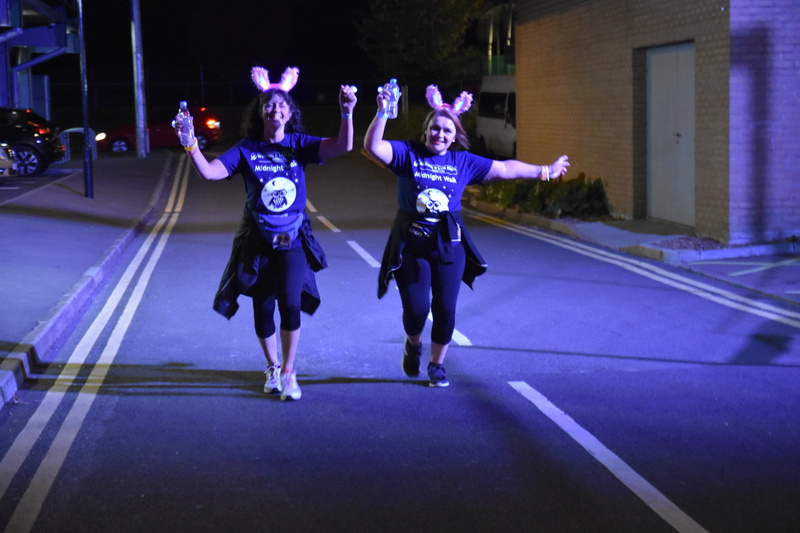 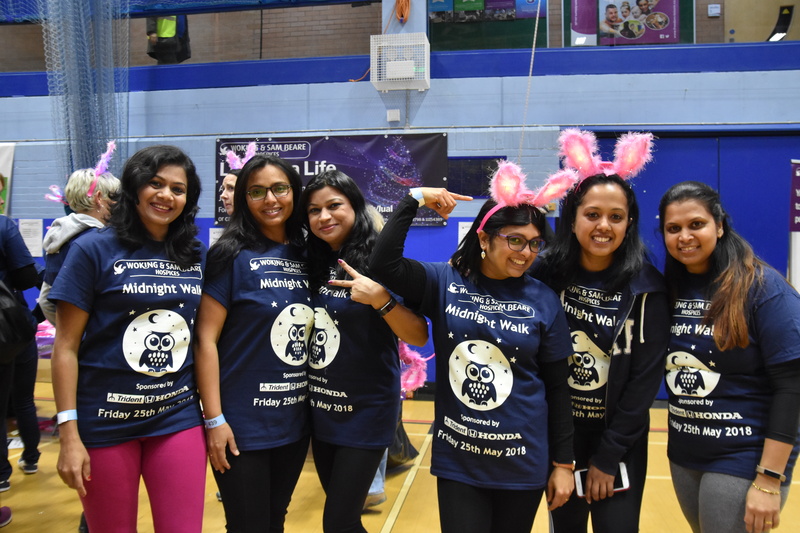 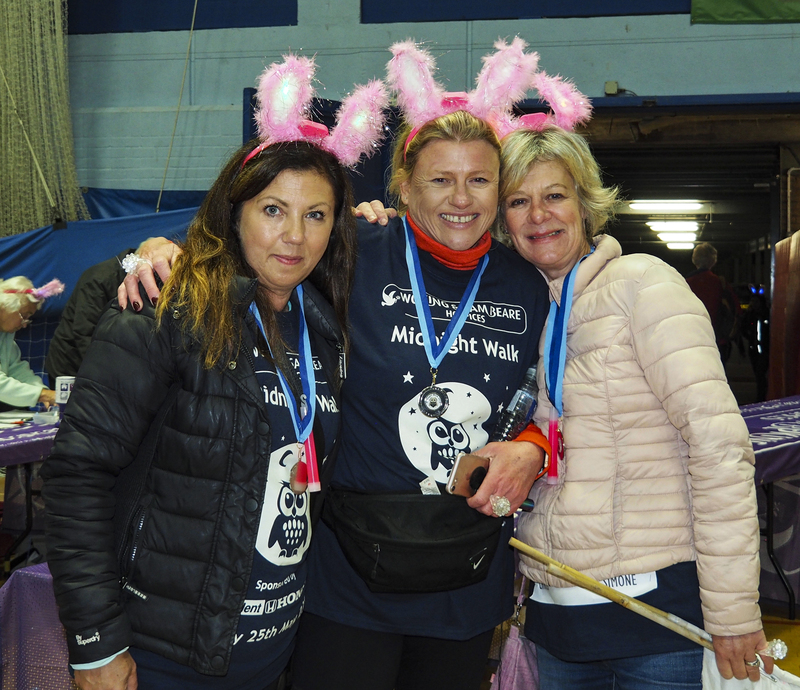 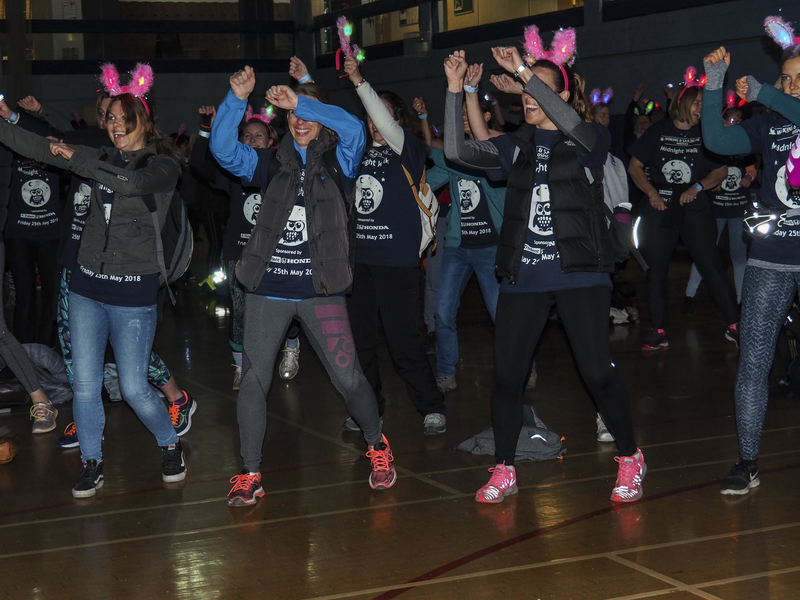 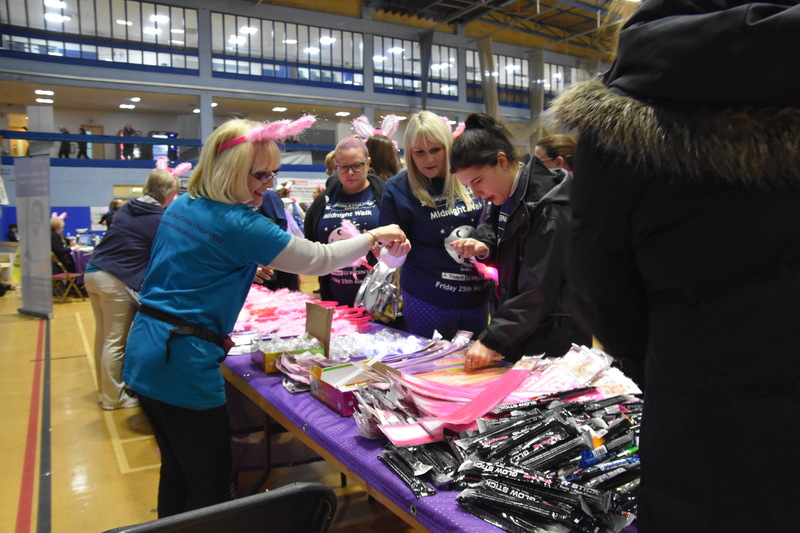 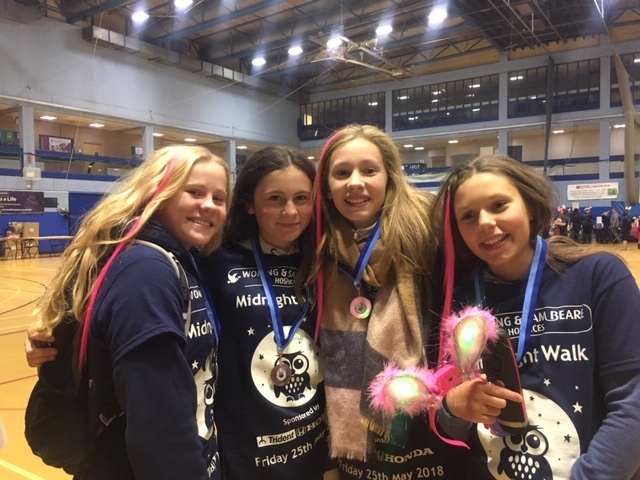 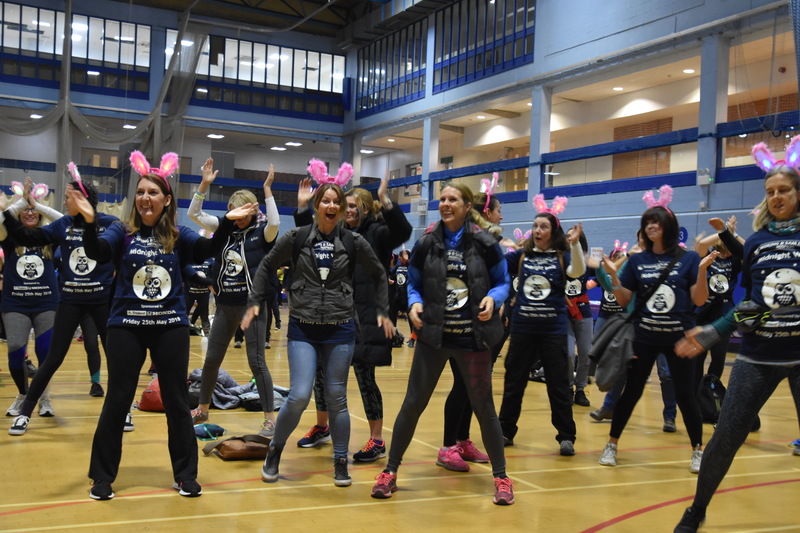 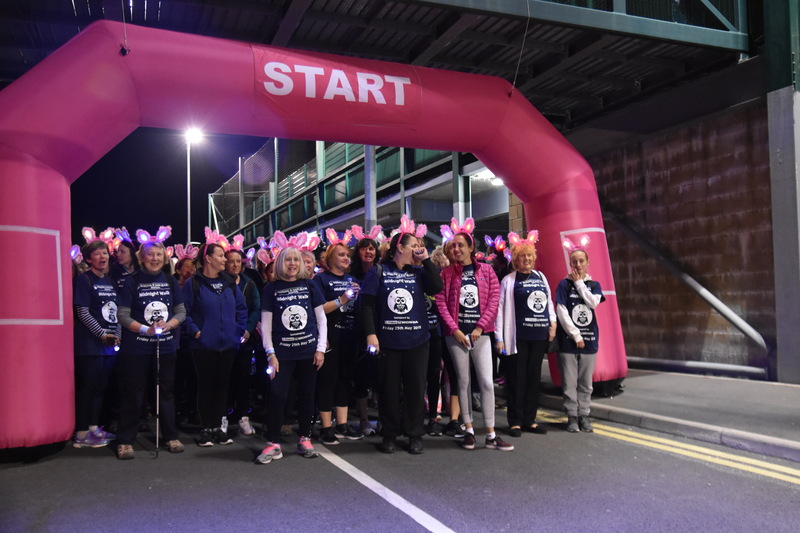 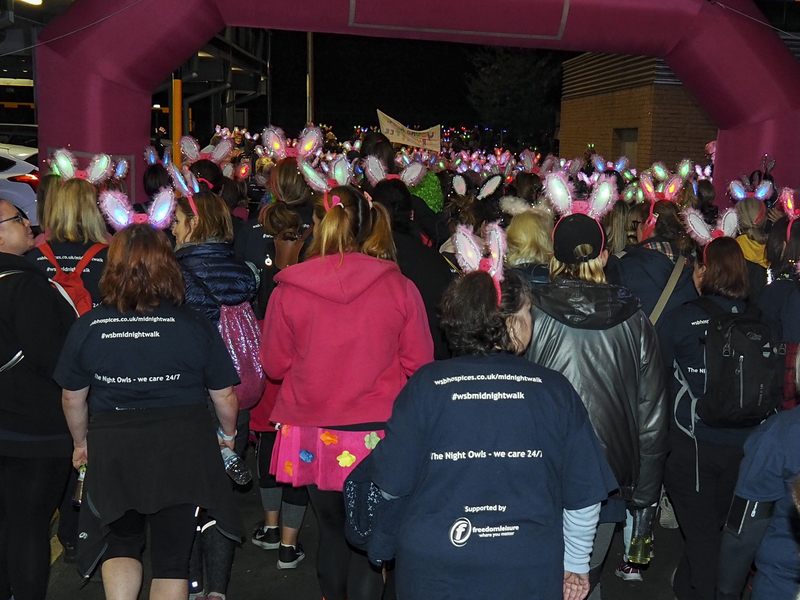 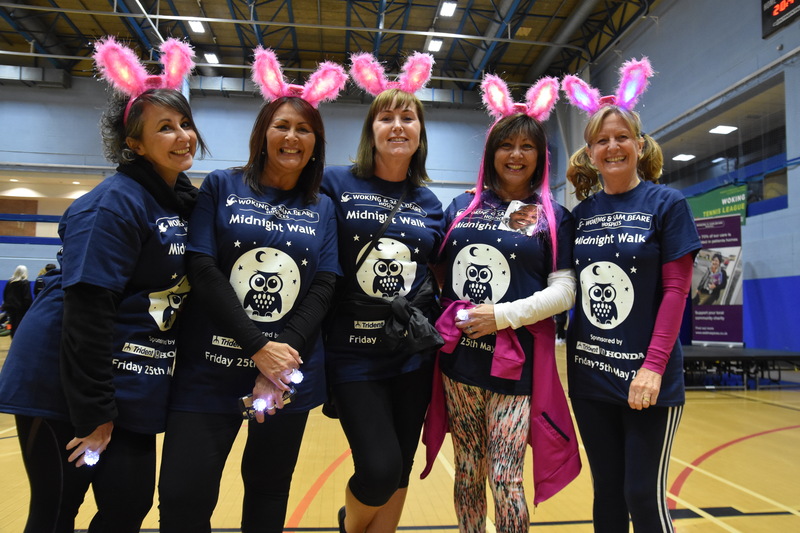 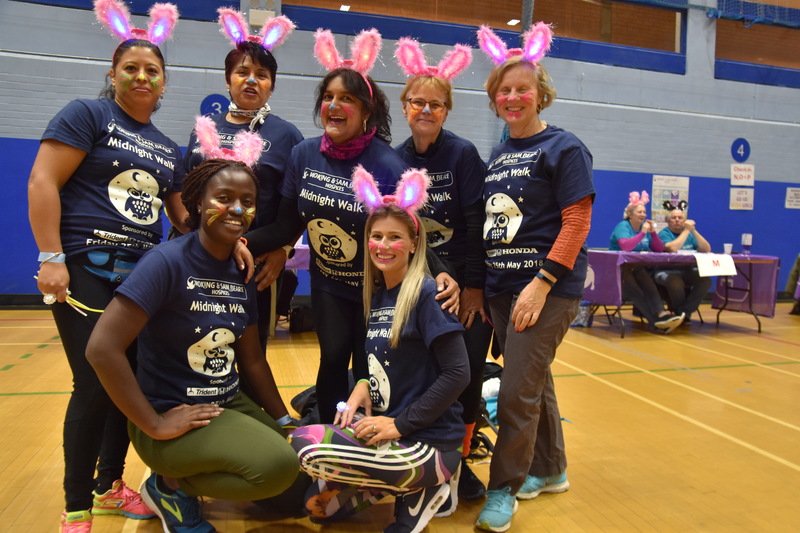 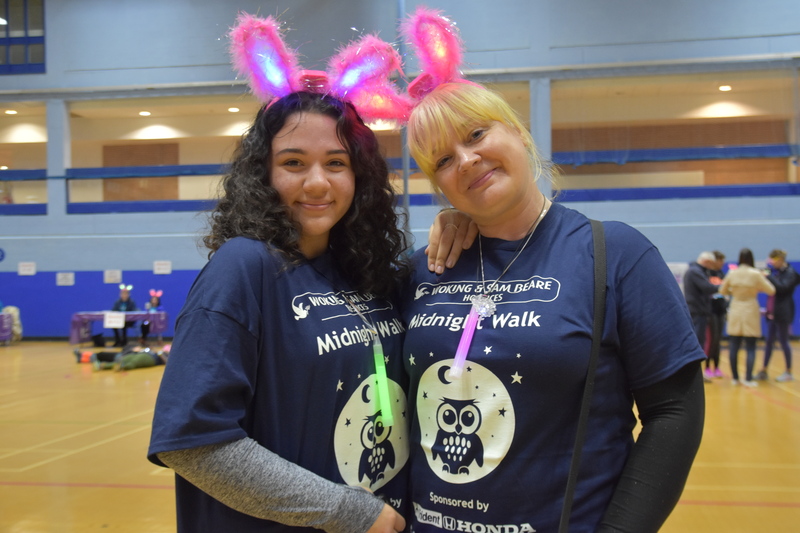 If you would like to join Susie and her team the eight mile Midnight Walk route starts and finishes at Woking Leisure Centre starting at 10pm, and it is open to ladies age 11 and up. 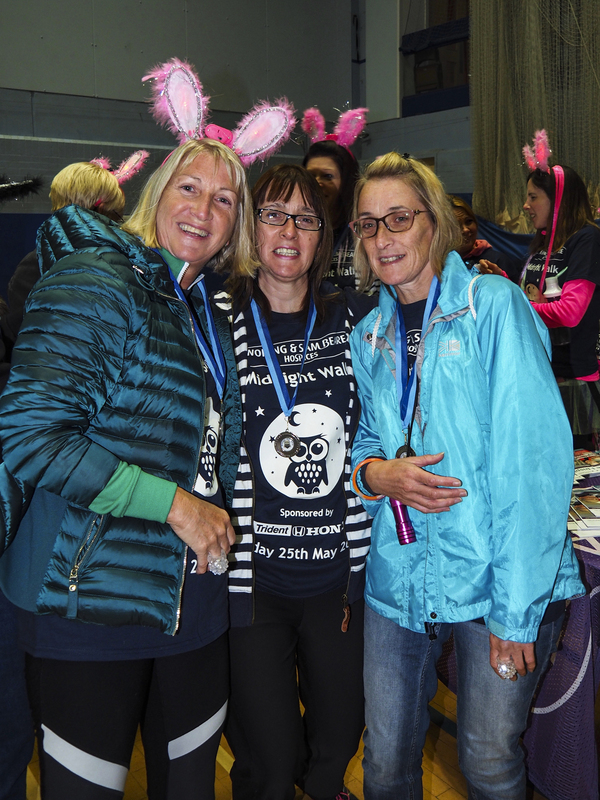 Registration is now open and if you sign up before Tuesday 30 April you will enjoy the early bird entry of just £15 per entrant. 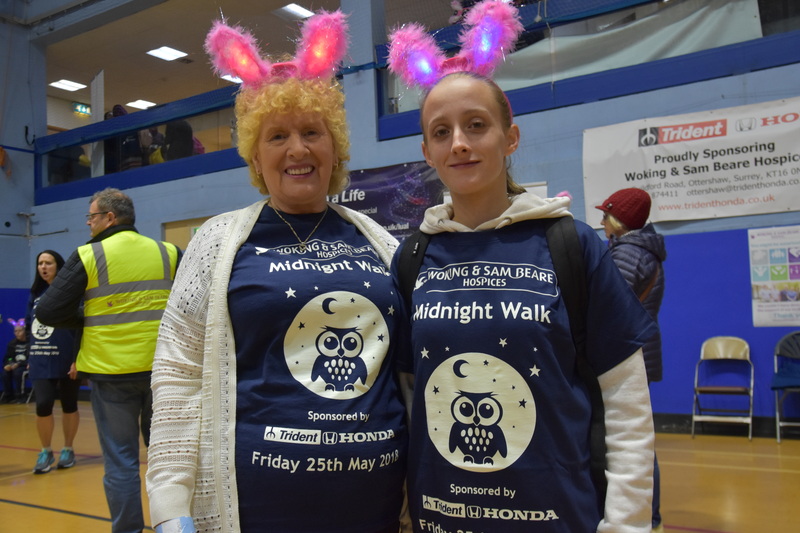 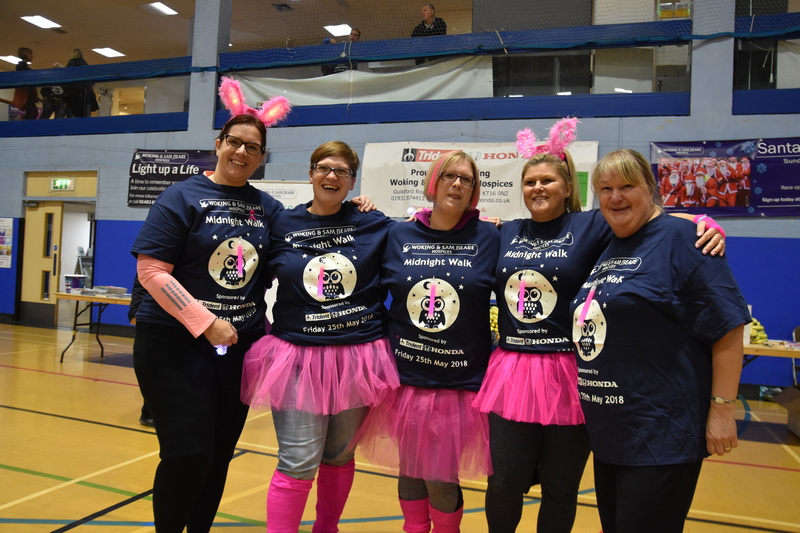 We are encouraging all our walkers to dress in their best 80’s gear and there will be prizes for the best dressed team and individuals but if you can also purchase our Midnight Walk t-shirts. 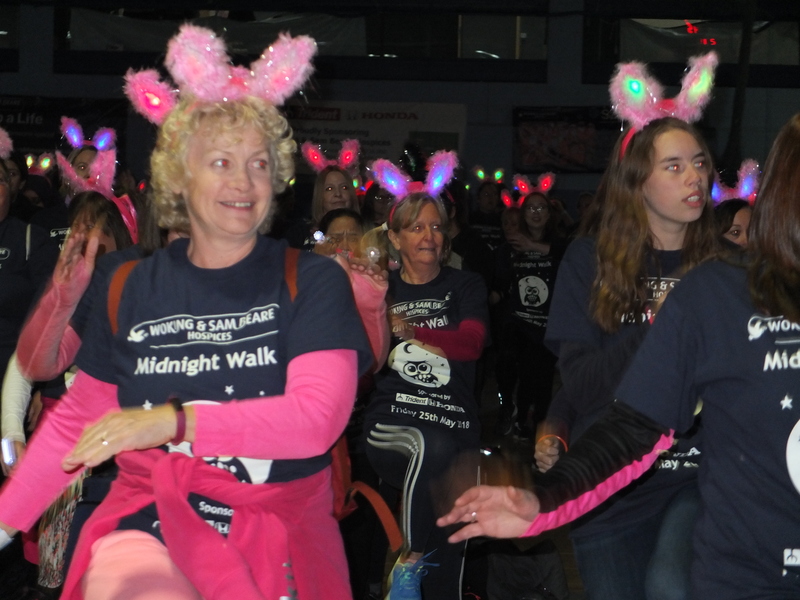 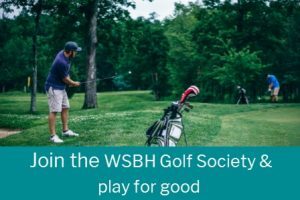 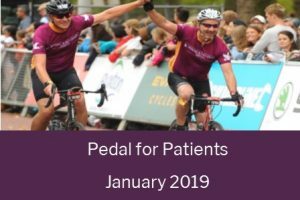 For more information or to sign up please visit www.wsbhospices.co.uk/midnight or contact our Events Team on 01483 881752. 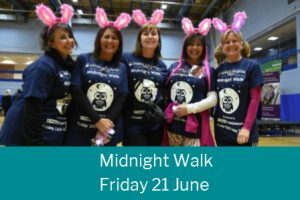 The Midnight Walk is supported by Freedom Leisure Centre.